Many Chronic Kidney Disease (CKD) patients suffer from severe bruising which can be very painful and scary at times. Often, after a dialysis patient is infiltrated (needle pushed through the fistula vein and into the muscle) they will experience pain and extreme bruising. One viewer writes, "Yesterday the tech stuck me wrong and now my forearm is swollen with redness, bruising and is puffed up. Its been 18 hours and my arm is still swollen. I am worried!" The lack of platelets in many CKD patients due to kidney failure prevents their blood from clotting, making it easier for them to experience bruising as well as bruises to appear worse than they actually may be. That is why if you are on a heavy dose of Heparin (blood thinner), it may take longer for your bruises to disappear. 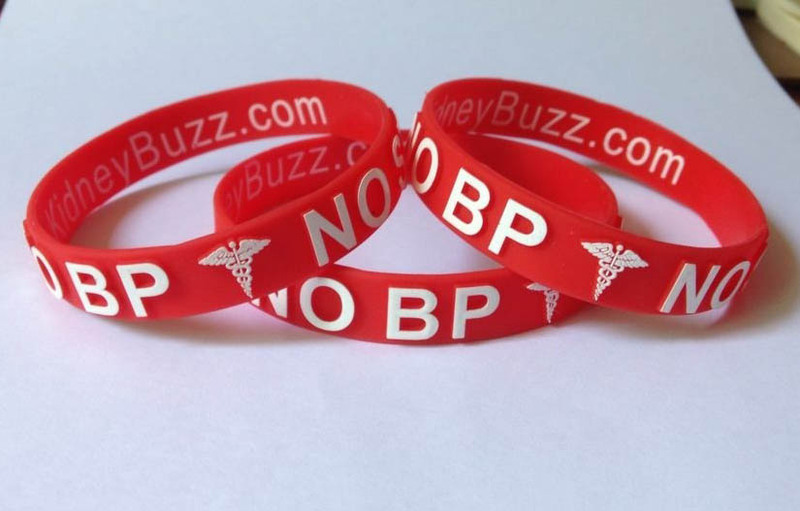 There is no long term treatment for CKD patients' platelet defect. In addition, many patients take aspirin to keep their fistula access from clotting and that can worsen the appearance of bruising. Kidney failure also causes thinning of the skin such that blood vessels are closer to the surface of the skin and can make it easier to see bruises that would usually go unnoticed in healthier people. 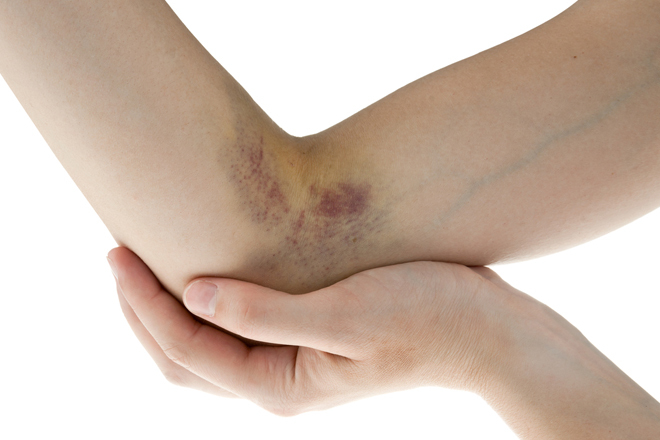 Unfortunately, bruising is something that those with CKD must live with on a periodic basis. Therefore, the key is to limit bruising as much as possible. The typical treatment is to apply ice to your arm immediately which will minimize the bruise as well as reduce inflammation. For Hemodialysis patients, you should place an ice pack on your fistula arm for no more than 20 minutes and then remove it to avoid further damage. It may take 24 to 36 hours or more before you see any significant improvement to your condition. It would also help to exercise your arm by flexing and moving it without using weights. Try not to use your infiltrated arm for any lifting.